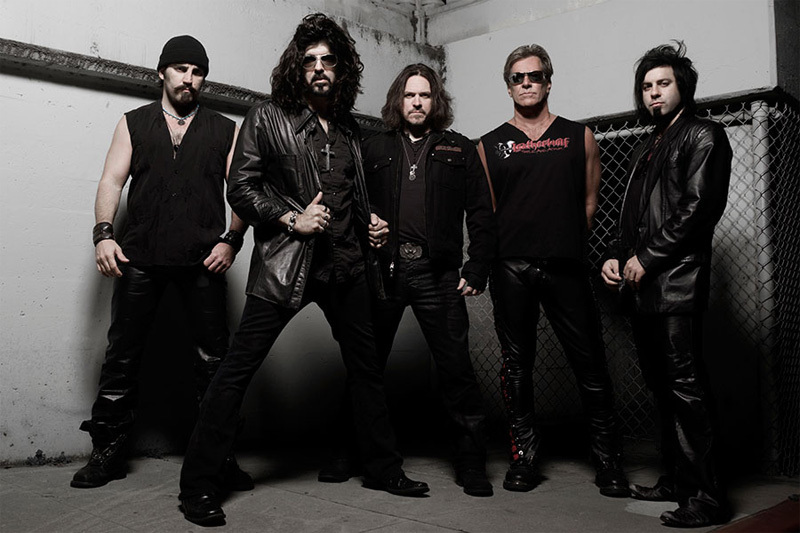 Unchained Live was released by Leatherwolf in January of 2014. Over the years, Leatherwolf has been one of the most criminally underrated hard rock bands on the planet. Affectionately referred to as the “Triple Axe Attack” by their fans, these classic hard rockers have been going strong since the early 1980s. The group released three classic LPs during the Decade of Decadence which stand the test of time better than releases from many of their contemporaries. In more recent years, following some stints with other singers, the group welcomed the return of classic vocalist/guitarist Michael Olivieri, much to the delight of fans. 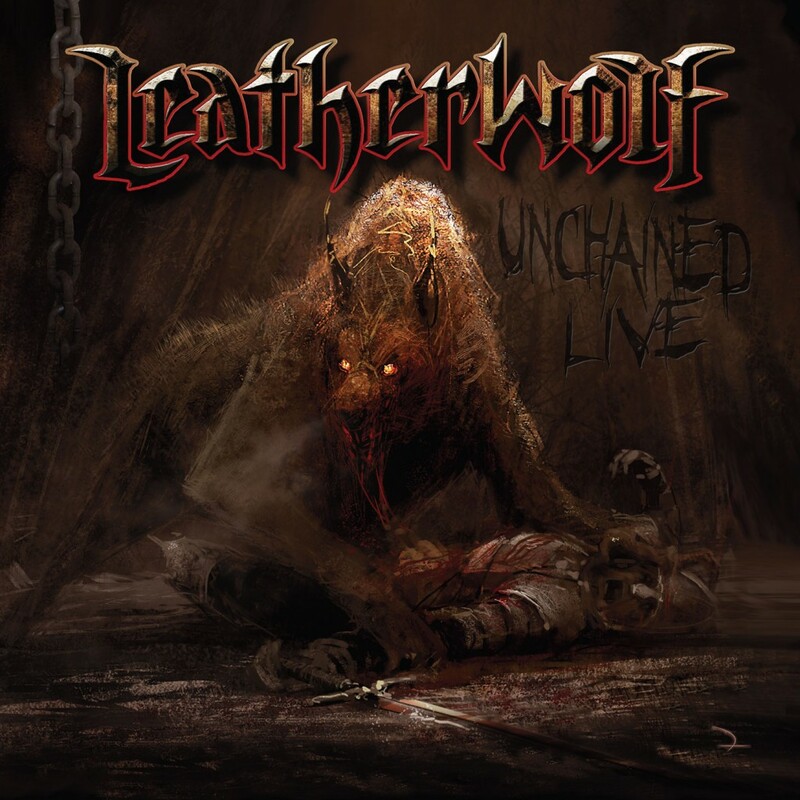 Unchained Live is the second live album from Leatherwolf, and their first release in six years; their most recent release was 2007’s New World Asylum (essentially 2006’s World Asylum with Olivieri rerecording Wade Black's vocals). New guitarists Rob Math and Greg Erba make their first appearances on a Leatherwolf record here. Also appearing on the release are bassist Patrick Guyton and drummer Dean Roberts. Leatherwolf is underrated as hell. As a fan, I was pleased to see Olivieri’s record to the helm. The band has always managed to impress, and was that rare group that could combine a harder, heavier sound with the slick, cleaner production utilized by a number of the more pop-flavored bands on the day. 1999’s Wide Open proved that the band could be just as hard rocking and impressive in a live venue. When this fan heard that the group was putting out a second live release, needless to say the reaction was one of excitement. How does live release number two from the Triple Axe Attack hold up? Visiting new releases from classic artists is always something I both eagerly await and dread. It is eagerly awaited because I love to see my favorite old artists in action again, doing their thing, but I simultaneously dread it because, put simply, not all artists, for lack of a better term, age gracefully. If you are a Leatherwolf fan, however, you can take great pride in the fact that Unchained Live is a solid release from these underrated hard rock legends that will make a damn good addition to your rock and metal collection. You can catch Leatherwolf along with Keel, Kix, Lita Ford, and Bang Tango ( among many others!) on The Monsters of Rock Cruise for 2015! It only takes one visit to the band’s Wikipedia page to see that tons of musicians have been in and out of Leatherwolf in recent years, often after very short stints with the band. At long last, though, they seem to have found a great lineup that could be their strongest in years. The musicianship on this record is solid from start to finish; Olivieri’s vocals sound just as good as they did back on the band’s classic 80s records, and the rest of the band is equally impressive. Clocking it at approximately 45 minutes, this is a short but sweet live effort that gives the fans just enough of what they want from a live Leatherwolf release. You get live renditions of ten classic Leatherwolf tunes on this disc, from classics like the Calling, Hideaway, Wicked Ways, Spiter, and Street Ready. 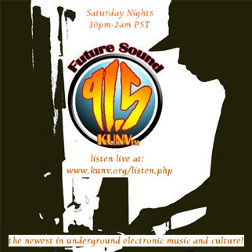 But the band does not stop there, pulling out some of the deep tracks from those older albums, plus more recent tunes as well. In the long run, every album is represented, and the band sounds phenomenal on this live recording. There is not a dull moment in the entire duration of Unchained Live; fans will be banging their heads from start to finish! Whether you are rediscovering the hard rock and metal greatness of Leatherwolf, or you are finding their music for the first time, you will love what you hear on Unchained Live! The Triple Axe Attack is on fire, and Olivieri’s vocals sound as good as they ever have (something I cannot say for many men from their classic era). This is a great live release from one of the rock and metal world’s most underrated bands, and gets my highest recommendation. Judas Priest - Redeemer of Souls Released in the USA and Tour Kicking Off in October! Joe Lynn Turner - Still Stone Cold on the Street of Dreams!